Ariana Grande may be fearless — vowing to return to Manchester after the terrorist attack at her concert — but she’s not foolhardy, because her family home is being guarded by enough security to protect a head of state. 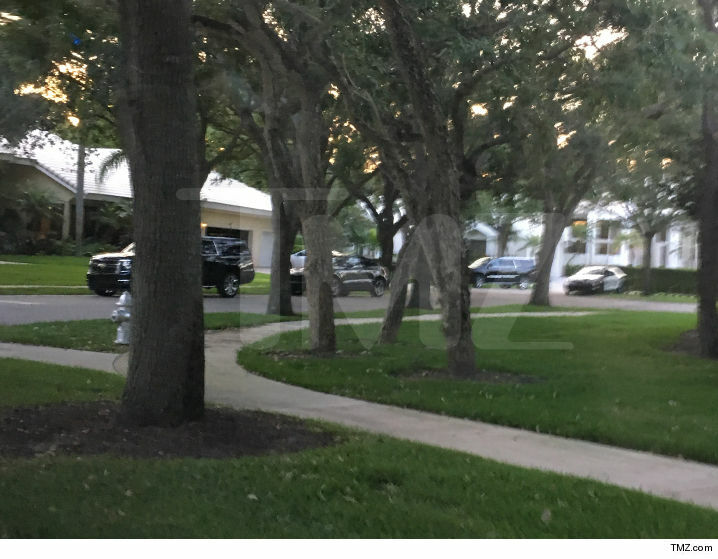 Security vehicles were positioned in front of her mom’s home in Boca Raton. It’s a gated community, but no one’s taking any chances. In addition to private security, 2 cop cars are stationed on the street. Law enforcement sources tell TMZ … Ariana’s mom, Joan, always gets extra security when her daughter’s in town. However, local police are more actively patrolling the area given the circumstances around Manchester … and they’re calling that shot on their own. TMZ broke the story … Ariana will hold a benefit concert in Manchester a week from today. All proceeds will go to the family of the victims’ families.